Pick one of these moments, settings or relationships from Julius Caesar to investigate how they have been staged in performance. As you explore you will find picture galleries from past productions and things to consider as you look at these. How has the Roman republic been represented on stage? In Julius Caesar, the idea of the Roman republic is very important. The republic had replaced the old monarchy over 500 years before and was built on the idea that people ruled together. The fact that Caesar seems to be becoming an absolute ruler, or dictator, is the main reason Brutus joins the conspirators. Take a look at the Things to Consider here and investigate the different ways we’ve staged the republic in past productions in this picture gallery. Octavius and Mark Antony in the 1957 production of Julius Caesar. What choices the designer has made to show the grandeur of Rome in the pictures of the opening scenes. How is the status of each character shown, particularly Caesar? How does he stand out from the crowd? In the 2004 production, David Farr used large screens at the back of the stage to create the sense of a modern dictatorship; and in Gregory Doran’s 2012 production he set the play in a contemporary Africa with a people looking to escape an oppressive regime. How do the designs and choices in these productions help you to imagine what life in the Republic is like? The military power of Rome. At the start of the play, shown in the images from the 2017 production and the 1950 production as well as others, Caesar has returned from battle victorious. How is this shown? Can you see the military might of Rome in any of the other pictures and what impact does it have to be reminded of this? Does this make it easier or harder for the conspirators? In the more contemporary settings, as in the 2004 production, how is the military nature of the state shown? How similar or different the productions are and why you think this is. How would you choose to create the setting of the Roman republic? What choices would you make to create that sense of military might and power? How has Caesar's murder been represented and staged? The murder of Caesar and what happens afterwards dominate the play. Before his death, there are warnings, violent storms and omens and, when it actually takes place, it is in a public space where all the conspirators taking part in the killing. Take a look at the Things to Consider here and investigate the different ways we’ve staged the murder of Caesar in past productions in this picture gallery. What choices have been made to show how violent and bloody Caesar's murder is. Has the designer used stage blood? How does this alter the appearance and behaviour of the characters? In several productions, including the 2006 production, Caesar and the conspirators are dressed in white. How does this impact on the staging of the bloody killing and is it effective? How the Conspirators work together in this scene. Every one of the Conspirators stabs Caesar, with Casca first and Brutus last. How has each production tried to show this ‘team’ approach? In the images from the 2017 and 2012 productions you can see pictures from before and during the assassination. How do they get close enough to Caesar during the petition to take him by surprise? Where are the Conspirators placed and how implicit are the audience, are they included or excluded? Which interpretation would be most interesting to watch? Which would make you empathise with the Conspirators most? What the conspirators do after the murder. Brutus tells the conspirators to bathe their arms in blood as evidence of what they have all taken part in. How many of the pictures show this? In the 1993 production, for example, the Conspirators all hold their bloodied arms up while standing around the body of Caesar and in the 2017 production, you can see them marching with their arms held up. This is a symbolic act to make sure they are all seen as being responsible. How could you stage this moment to make it as public as possible? Where might you set the murder of Caesar to suggest it is a public place? How might this fit the world of the play and how would it affect the action of the crowd? How has the mob been represented and staged? A lot of the action in Julius Caesar happens in public places and the people of Rome play an important role. When the crowd forms an angry mob after Caesar’s funeral, they go on a rampage of anarchy and revenge, murdering the poet Cinna because he has the same name as one of the Conspirators. Take a look at the Things to Consider here and investigate the different ways we’ve staged the mob and Cinna’s death in past productions in this picture gallery. For a further look at Cinna in performance, you can also watch a film of 'I, Cinna’, a play written by Tim Crouch about Cinna the poet’s story. What choices have been made by the designer to mark out the mob from the more high-status characters. Do they work as a group of individuals or is there something visually that unites them as citizens? In the 2012 production they carry signs like protesters and in the 2004 production, they murder Cinna and hang a sign around his neck with his name on. They murder Cinna knowing he is not the right man so, by hanging his name around his neck, he becomes symbolic of what they hate. How else have they been shown to be a force in their own right rather than just a large crowd? How the mob are controlled. Both Antony and Brutus are able to get the mob to agree with them when they speak at Caesar’s funeral, which suggests they change their minds quite easily. Why do you think the power of the mob is so powerful and important in Julius Caesar? What is Shakespeare reminding the audience of? Why do you think he includes Cinna’s murder? Which of the images gives you the strongest sense of the mob’s power and unpredictability and why? Where would you choose to set a production of Julius Caesar and why? How would you stage Cinna’s death at the hands of the mob? How has Brutus seeing Caesar's ghost been represented on stage? Surrounded by sleeping soldiers, Brutus is visited in his tent at the rebel camp by Caesar’s ghost. Take a look at the Things to Consider here and investigate the different ways we’ve staged the appearance of Caesar’s ghost to Brutus in past productions in this picture gallery. There is also the opportunity to investigate Act 4 Scene 2 in more detail. What choices the designer has made to represent the ghost of Caesar. Is it Caesar in all his might and glory or is he shown in a different way? What effect do these choices have on Brutus and how does Brutus seem to respond? What does the staging suggest about Brutus’ state of mind? Any special effects that might have been used. How do the ghosts appear and disappear? How might decisions like this affect the audience and their response to Brutus at this point in the play? How would you choose to show Caesar’s ghost? What effects would you use, if any, and why? 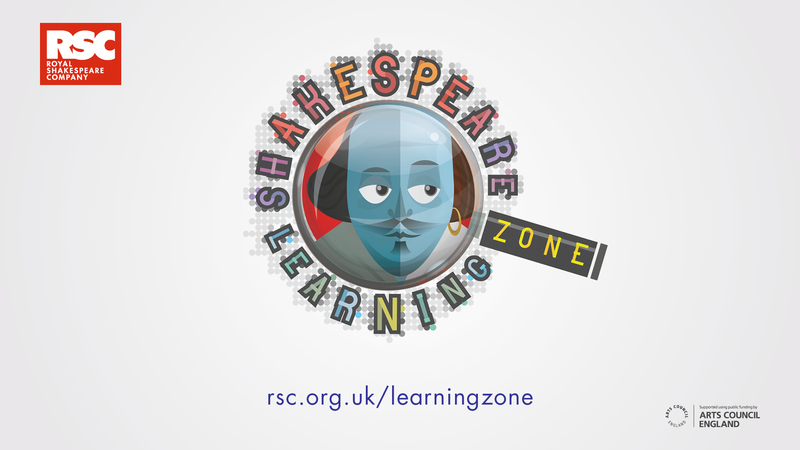 The following activities will help students to think about interpretive choices and how they might stage Julius Caesar, looking specifically at the ‘ruling ideas’ they want to put across and how to create the world of Rome on stage. The activity can be found on page 8 and takes approximately 20 minutes. The activity can be found on pages 2-3 and takes approximately 30 minutes.